The topic of learning disabilities is highly controversial. What are they? How do we know? Are such labels useful? How to “treat” them? On the down side of the learning disability label is just that—that it is a label. The problem with labeling is that it creates an identity. 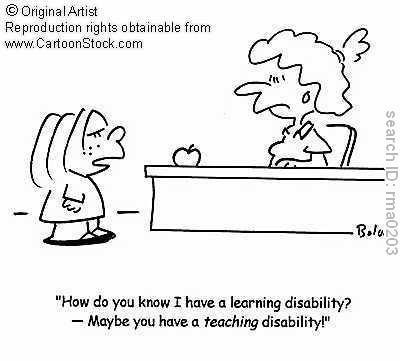 When students are given the label of learning disabled it can mean they then think of themselves as disabled, and create a self-fulfilling prophesy of helplessness. It also shapes how others see them—as damaged. On the other hand, I know many adults that tell me that having been identified as having a specific learning disability helped them understand that maybe they were not “stupid” for having so much trouble in school, and that in some cases it allowed them to get help to manage that difficulty. One suggestion in the literature on disabilities is to name the behavior or issue rather than the person, as in a student with a learning disability, rather than a learning disabled student, having dyslexia rather than dyslexic. This may mitigate the harmful aspects of labeling. One of my problems specifically with the term learning disabilities is the lack of a good measure and lack of strong evidence that it is actually a physical problem. To test for blindness we have a eye test, and there is no controversy over the basic validity and reliability of such tests. 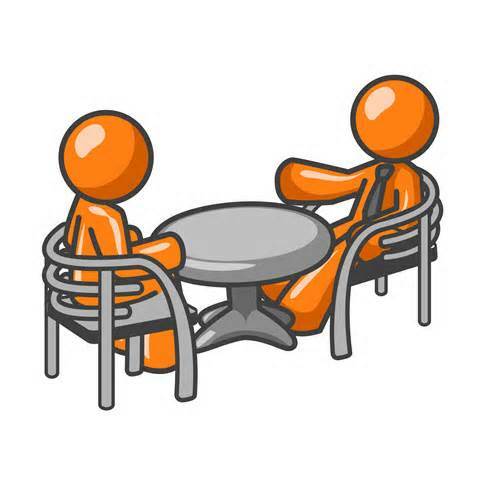 However, there is a strong lack of consistency about who gets labeled with learning disabilities versus who is just considered a “slow learner.” To get the label of learning disabled one criterion is a discrepancy between achievement and potential. However, since I find tests for either highly problematic in terms of validity and reliability, I do not trust the results of either. (I am unsure how one measures “potential”). Another criterion is whether a person seems to learn fine in one area, but not in another. But we all have different strengths and weaknesses. And in fact, it has been shown that students who in one school system get labeled one way, would be labeled differently in another school. In research I did a while back, the chance of low achieving students being labeled as learning disabled was almost completely arbitrary—in other words if they were assessed by different people, they were just as likely to be labeled learning disabled as not, with almost no consistency among assessors. Some researchers point to differences in brain scans of those considered “normal” learners in the specific area of the brain that is related to ability as demonstrating the validity of such labels. However correlation does not mean causation. An alternate hypothesis is that the brain difference and the learning problem are both caused by poor teaching/learning. In other words, if you learned it the wrong way, it might end up looking different in your brain when no prior difference may have existed. I was recently reading how the brain of someone called “dyslexic” looks similar to someone who just has not learned how to read, rather than as damaged in some way. Some have talked about a sign of a learning disability as when students have trouble hanging on to or retrieving information or facts even after multiple exposures. However, another hypothesis is lack of conceptual understanding. If you do not understand a subject well conceptually, than retrieving information is harder. I find that a more plausible explanation than a theorized brain abnormality. Another issue is that much (though not all) of what we call learning disabilities only show up as problems in school contexts—so maybe the problem is with the school context or expectations. We are all different, but schools favor some learning styles and behaviors and ignore or even discourage others. In part, I am arguing that learning disabilities are at least in part culturally constructed. Rather than label some children as learning disabled and others as normal, I would rather see schools where teachers (and everyone really) pays attention to individual differences and creates an environment that makes room for all of these differences then provides the supports needed for all to flourish. These are called full inclusion schools or classrooms, and there are many successful examples of them out there. The teacher as lecturer and textbook based model will not work well for that to happen, and probably more training and supports are needed than we currently provide to most schools. However, since the schools that I know that have full inclusion, do it on basically the same budgets as other schools, it is less a question of total resources than how they are allocated. A difficulty of my approach is how do you allocate resources fairly. The labels help us legally justify giving expensive equipment or more one on one time to certain students, and these can be expensive. Of course, even with the laws and labels, what I have seen and heard is that those who are more advantaged are better able to use the system and laws to get whatever resources they think their child should have, and those who are less savvy and from more disadvantaged groups, are less able to successfully advocate for those same things, or just unaware of what their child might be entitled to. My approach is based on trust—trust that those in charge will allocate the resources fairly. Without such labels and laws some argue that schools will be reluctant (or unable) to give expensive resources to students with those needs. Or that others will argue, why should that kid get all that extra stuff, without the weight of law behind it. These are valid points without easy answers. And even full inclusion schools use the labels to provide the resources. This entry was posted in 2015, Policy and tagged disabilities. Bookmark the permalink. YOU ARE SO WISE, NICHOLAS! I PUT THIS ON MY: http://WWW.TEACHERADVOCATE.COM WEBSITE….OK? I am always happy to have my blogs reposted. DID YOU EVER REQUEST YOUR FREE COPY OF “SEVEN STEPS TO HELP BOYS LOVE SCHOOL: TEACHING TO THEIR PASSION FOR LESS FRUSTRATION!”? I WOULD REALLY APPRECIATE TO KNOW WHAT YOU THINK OF IT? Anne Martin, Teachers and Teaching: Screening, Early Intervention, and Remediation: Obscuring Children’s Potential. in the Harvard Educational Review, Vol. 58, No. 4, Nov. 1988.